About 250 Sysco associates from across the world are taking part in three days of learning, networking and collaboration at Women's Foodservice Forum’s Annual Leadership Development Conference in Dallas, Texas. 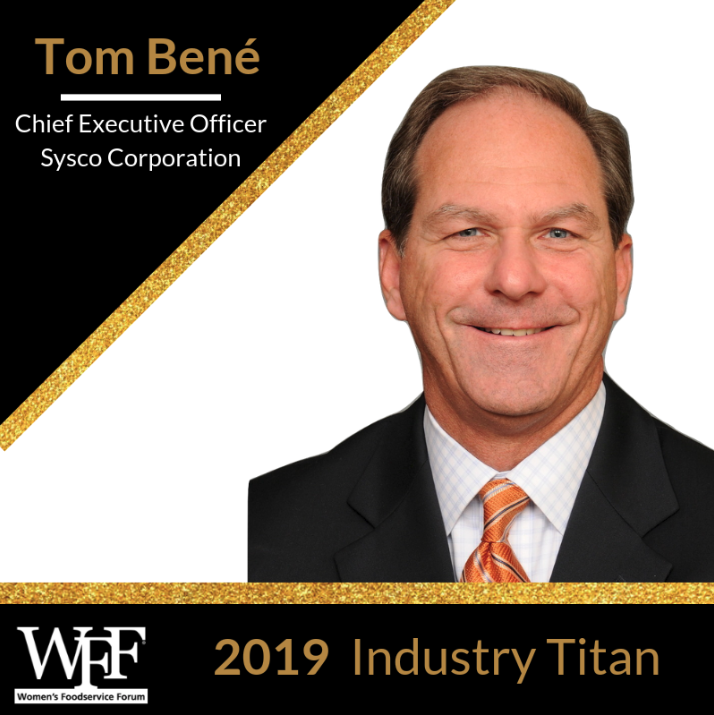 A BIG congratulations also goes out to Tom Bené, Sysco’s Chairman, President and Chief Executive Officer, for being named one of WFF’s 2019 Industry Titans! WFF Industry Titans are forward-thinking leaders in the Food Industry who are being recognized for their public commitment of prioritizing women’s advancement in their organizations, leveraging their influence to urge peers to do the same and creating change that will increase opportunities for women across the industry.